We use tongue and grooved chipboard flooring 2400mm x 600mm with a 18mm thickness which are screwed down not nailed, we can part board or fully board your loft to suit your requirements, we also offer a raised flooring service which allows the flooring to cover excisting insulation that is higher to than your original joist level. 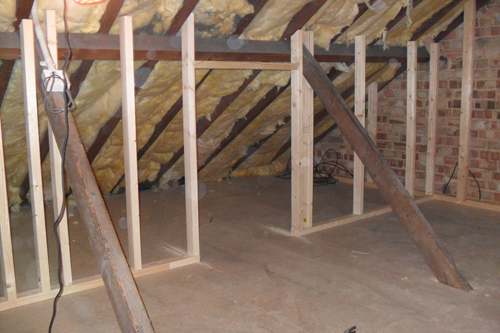 Prices for loft boarding are £25 per m2. If your require the floor to be raised, it is an additional £5 per m2. DISCOUNTS AVAILABLE ON LARGE AREAS.